Are you looking to acquire the attic of their dreams in Denia?, is looking to sell his beautiful penthouse with sea views in the town? At Deniacasas.es we help you to find the best penthouse overlooking Denia for you or sell your home easy, safe and comfortable. 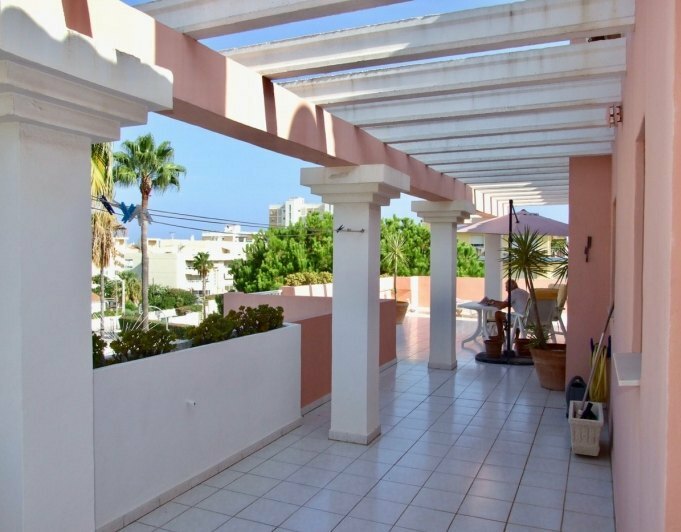 Nice located duplex penthouse type next to La Marineta, Yacht Club Beach and within walking distance of the city. It brings characteristics to enjoy Denia both summer and yearround, with all kinds of services at a pace which gives this building a large touch of comfort. Housing supplement the a parking place in floor basement.Urbanization has swimming pool and communal gardens, as well as paddle tennis court. The stairs have of course lifts and views are cleared both towards the beach and the mountain taking morning and afternoon sun.The housing is in good condition and ready to enjoy. 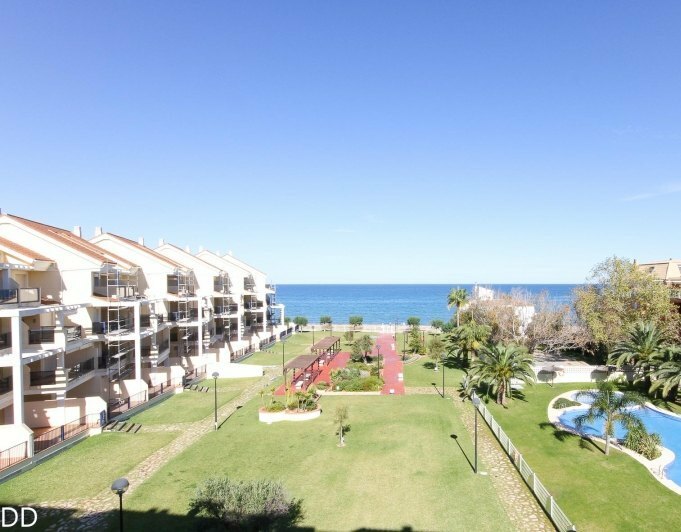 Penthouse apartments in Denia sea front sand beach. Bright spacius apartments. Open-plan kitchens fully equipped with oven, ceramic hob and cooker hood. Large terraces, full of Mediterranean sun, with great views, blending into the environment and respecting the surrounding nature. The complex is a mere 60 metres from Almadraba beach, overlooked by the Montgó nature park, in the Northern Costa Blanca. 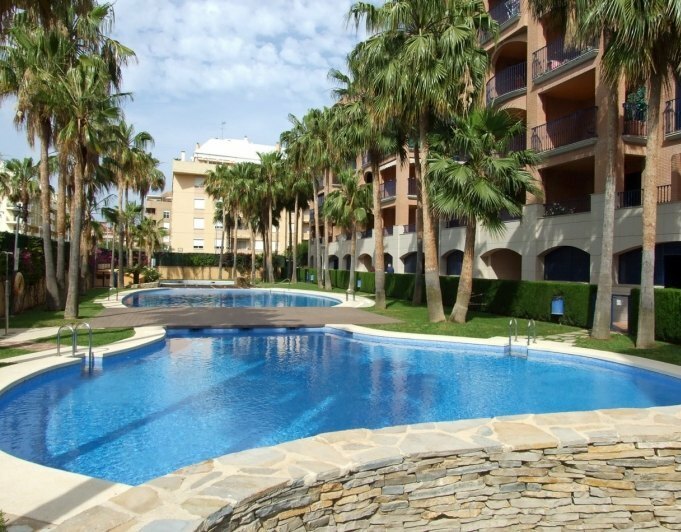 It’s just minutes from Oliva Nova’s famous golf course and beaches. Take advantage of the first days of launching this development to get the best homes available at initial prices! Spacious and bright penthouse in Denia, in the area of la Marineta Casiana, with 3 bedrooms with fitted waredrobes and 2 bathrooms. Lift, garage, garden and swimming pool. 75 m² terrace divided into three terraces with magnificent views to the Montgo and the garden. Large living room and a separate kitchen. Very close to the beach and the town centre and amenities, such as restaurants, supermarkets and transport. Magnificent 2 storey penthouse with beautiful views to the sea located at a sandy beach around 5 km from the towncenter, close to all amenities and comforts. Recently renovated, it has a surface of 170 m2, distributed over two floors: the lower floor has 2 bedrooms, 1 bathroom, separate kitchen, livingdining room and a terrace overlooking the sea; on the first floor we find a living room with open kitchen, master bedroom and bathroom, 2 terraces (15 m2 each) with views to the sea. The price includes closed garage closed for 2 cars in the basement with storeroom. Communal garden and swimming pool. The complex also has paddle tennis courts and football. Opportunity to buy a penthouse on the beach just 100 metres from the fine sandy beach. Duplex penthouse with sea views situated on the sandy beach in first line in a complex with garden and community pool located in Las Marinas, 7,5 km from the centre of Denia, with very good infrastructure, as well as shops, stop buses, cafes and restaurants where you can go without car. There is a shopping mall 3 km away with all kinds of trade.The house has two floors, three terraces and a garage. The living room with access to the terrace, a double bedroom and the kitchen with access to the second terrace are located on the main floor. On the first floor are the two other bedrooms with a bathroom and a terrace of 12 m².From any point of the house there are open panoramic views to the sea and the mountains.Each bedroom has fitted wardrobes, air conditioning hot/cold, alarm, double glazed windows, marble, security door, mosquito nets.Ideal for family with children, to live yearround or vacation. This is a magnificent property penthouse next to the city, the Yacht Club and La Marineta beach. Very comfortable to access anywhere to walk in a few minutes. Many services around being a highly sought after area in Denia.The property has a spectacular terrace on the main floor and several more distributed terraces in laundry area and bedrooms of the upper floor. The price includes an underground parking space and a storeroom.Very complete urbanization with swimming pool with jacuzzi, gym, gardens, concierge and paddle tennis, a good orientation and sun throughout the year. Great penthouse for sale in Denia only 5 minutes from the Centre and the beach of Denia, Duplex penthouse in luxury urbanization with Concierge, swimming pool, Garden, parking, wheelchair accessibleGround floor Hall with toilet, large living room with open kitchen great terrace, master bedroom with ensuite bathroom,first floor two double bedrooms and a large bathroom with shower, terrace overlooking DENIA's Castle sunny orientation SoutheastAwning electric air conditioning for all housing by individual plant parking in basementideal to enjoy a few days of vacation or year round living. Penthouse for sale in Denia with more than 193 m² in total, with 93 m² of housing and the rest a wonderful sunny terrace with very open views to the sea and surroundings.This property has two bedrooms with fitted wardrobes, wide living room of more than 45 m², separate fully equipped kitchen. The apartment is in very good condition, with air conditioning heat/cold and in the basement there is a garage for two carsSmall development with pool and tropical garden with all the services just a few meters away and also probably one of the best beaches of Denia. If you look for something "special " please have a look !! Penthouse with private pool in Denia. Located in one of the best areas, 2 minutes walking from the beach and 5 from the Center is the estate where we find this exclusive penthouse apartment with 4 bedrooms and 3 bathrooms. The urbanization has high quality finishes and a well maintained garden, throughout the year, where you will find the fantastic communal pool. The apartment is distributed in various rooms: on the ground floor we have the kitchen, two bedrooms, two bathrooms and a large living-dining room from which you have access to one of the terraces of the House, upstairs on the top floor we have another room with a small living room, two bedrooms, a bathroom and another terrace with access to the roof terrace where we have a private swimming pool from which you can enjoy the views to the Montgo and the Castle, a real private corner with much charm where can you take a swim with a unique view in Denia.